Balance is an import aspect for everyone. Nobody wants to be a klutz or uncoordinated. Yet many people overlook including balance work in their regular training routine. The reason seems to be that people don’t realize that you can easily improve your balance and coordination via exercise. Activities that involve balancing or things that take coordination are basically neurological issues. Growing up you learned how to do activities based on your body learning how to coordinate impulses sent from the brain through the nervous system to the body. As you learned how to throw a ball, for example, you created new pathways in your neural network. The stronger those connections are, or even making new ones, directly relates to how your body reacts and compensates during certain situations. throw it at your couch from ten feet away. Try aiming at something like a specific pillow. More than likely the motion feels weird and you can’t easily aim. Do it again. Then do it ten more times. While the motion feels awkward at first, after ten throws it should feel less so and your aim should start to improve. What is happening is new neural connections are actively being created during these exercises and the brain is learning how to coordinate this movement. This type of training can be brought into the gym as well to help work on coordination and balance which then translates over into everything else you do from sports to daily life. Essentially for balance training you will be incorporating movements that put you in an off-balance position and force your body to adapt and compensate. If you want to practice your balance then try incorporating these various exercises into your existing program. One-Legged Squats – Stand on one leg. Your other leg should be bent at the knee with your calf parallel to the ground. Squat down as low as you can and then come back up. At first use no weight. You should aim for 12 to 20 reps. If it becomes too easy then grab a dumbbell or two for added resistance. 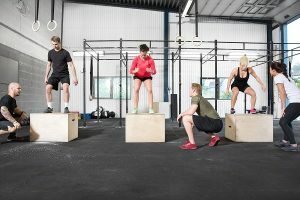 Box Jumps – Basically you start in standing position, crouch down, and then jump sideways over an object like a box. People jump over cones or benches as well. To start use something simple like a sweatshirt folded on the ground. Jump over then jump back for 1 rep. Aim for 12 to 20 reps total. Balance Ball Crunches – Using a big balance ball for abdominal work adds a degree of difficulty. You can do normal crunches as well as twists for the oblique muscles. The size of the ball creates a stability issue which helps with balance training. Uneven Push-ups – Place a block or medicine ball under one hand creating an uneven stance and perform pushups to exhaustion. Switch positions (object under opposite hand) for a second set to exhaustion. 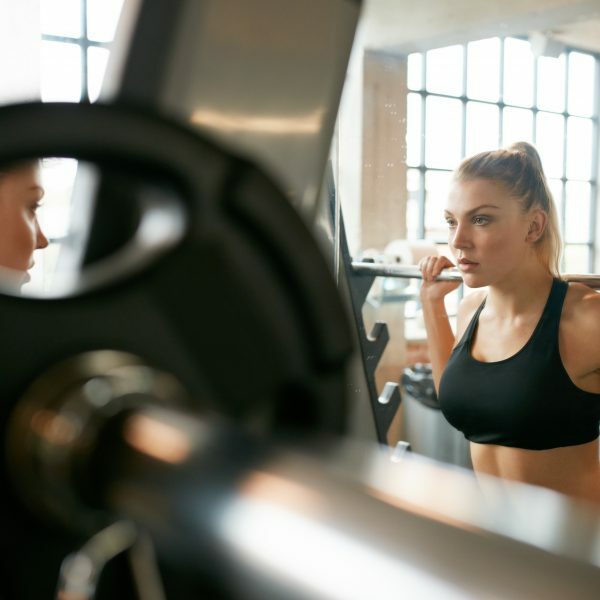 Use a Barbell – On some exercises that you normally use a dumbbell (like bicep curls, deltoid raises, or overhead presses) switch to a barbell with slightly less weight. The extra length will cause a balance issue that your body has to overcome. Use One Leg or Hand – Certain exercises can be done standing on one leg. By the same token some exercises can be done with just one hand or one leg instead of both. The uneven weight distribution will help to train your body to compensate. Make sure to start with less weight than you would normally use. Jumping Rope – This helps with hand-eye and foot coordination. As you get better you can hop on one foot at a time versus two. What Muscles Do Battle Ropes Work On?